Rollins: I should define what I think “where” is: I am still able to get shows. I can still tour. This is of the utmost importance to me. If this is at all an achievement, I attribute it to tenacity and a good amount of desperation. Never, ever thinking I have it in the bag, that it can’t all go away quickly and that indeed some day it will all be over, and that the audience will be done with me before I am done with them—this keeps me running at it with a lot of ferocity. This is what has me “where” I am. The value of that place is up to the individual. For me, it is everything. TBS: Who is your celebrity/political/musical crush and why? Rollins: I don’t have a crush on anyone, but I think I know what you’re getting at. There is no celebrity I have any fixation on but I do think there are a lot of talented actors/directors/comedians, etc. out there. I think I am one of the only people left in America that still thinks President Obama is a good president. I don’t agree with everything he does but I think he is a good man. Musically, I am a big fan of Ty Segall. He is prolific and none of the records are bad. I think he’s really onto something. I have always been fascinated with people who are prolific and consistently good. On that side of things, many Australian bands are like this. Lots of records and really good ones, too. Australia has never not had an amazing music scene, but to me, at this time, it’s just incredible. Rollins: Any way at all. I am busy and trying to output a lot of stuff before I fall over. I just want to be a service machine, a hose that’s rarely turned off. I would work 20 hour days if I had the strength. I am not trying to be a jerk or antisocial. I live alone, work alone. Work and music is pretty much all that interests me. I get emails and it feels like driving a race car and having to pull over to say hello. Rollins: Interrupting people when they are speaking. Awful. I am getting better. I just want the conversations to go faster and be shorter. I hate being rude. TBS: What advice would you give a 15 year old Henry Rollins? Rollins: You are a disturbed person. Stop trying to fit in with normal people. It will never work and you will only waste your time and learn way too much about humiliation. Rollins: From 1968 to 1974, I was Latoya Jackson. My memories of those years, while crystal clear, are mixed. Rollins: I don’t use language to impress. I use it primarily to clarify, connect and pulverize. I can’t think of any words I employ to make someone think I know something. I would rather speak so clearly that no speed or meaning is lost. Rollins: Most gifts. I would rather not get anything from anyone. I get t-shirts from radio stations sometimes. I give them to homeless shelters. Rollins: Inspirational person…probably President Lincoln. He is one of the more quotable people I have ever read. TBS: And finally, you are one of Australia’s favourite visitors – do you have any wise words regarding our current PM Tony Abbott? Rollins: Every country gets the government it settles for and therefore, the government it deserves. It really isn’t for me to comment on the leader of democratic country, but I have read some quotes of his and, well, wow. You all are such a great bunch. It’s such a beautiful country. I hope you are taking good care of it. You have it better than you might be aware. 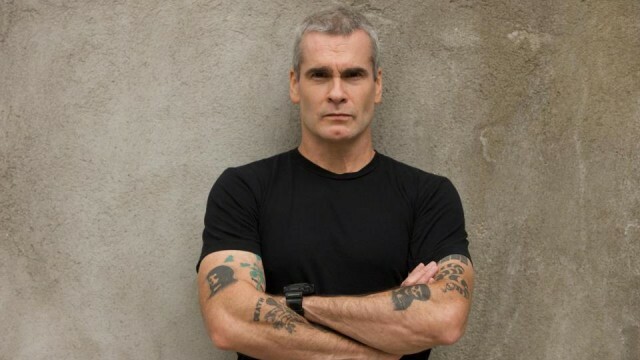 Henry Rollins is an American musician, writer, journalist, publisher, actor, television and radio host, spoken word artist, comedian, and activist. He is also a regular columnist for LA Weekly and Rolling Stone Australia. Jesus Christ Henry Rollins! I love you man! Your music changed my life. In 1997 I met you in LA when I was working as a tour manager for a small Aussie set and you and I talked about battling depression. What you said changed my life an every day thereafter I have thought ‘If Henry can fight the black dog I can too’. Thanks man you are my king!